A graduate of the University of South Carolina in Columbia, Mark K. Lencke, MD, earned his medical degree from the Medical College of Georgia in Augusta. He also completed his internal medicine internship and adult neurology residency at the Medical College of Georgia. 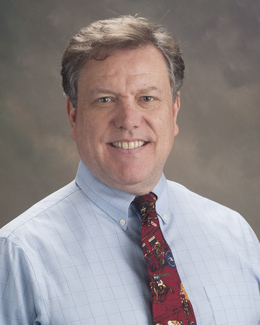 Dr. Lencke is a diplomate of the American Board of Psychiatry and Neurology and a member of the American Academy of Neurology, the American Medical Association, the Columbia Medical Society, the South Carolina Medical Association, and the South Carolina Neurological Association. He previously served as president of the South Carolina Neurological Association. In addition to his professional affiliations, Dr. Lencke has more than 20 years of experience in adult neurology, including chronic neurological disorders, diagnostic studies and addiction medicine. He most recently treated patients at The South Carolina Neurological Clinic in Columbia. Dr. Lencke proudly joins the highly skilled physicians and staff at Southeastern Neurology & Memory Clinic. The practice provides comprehensive care in the evaluation, monitoring, prevention and treatment of cognitive and general neurological disorders, including nervous system inflammatory diseases, Alzheimer’s disease, affective disorders, fibromyalgia, early and late onset dementia, post-traumatic stress disorder and Parkinson’s disease, among other conditions.